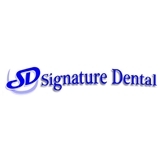 Signature Dental (Brea) - Book Appointment Online! Signature Dentistry is proud to serve your family's dental needs. With our highly respected dentists, we strive to build lifelong relationships with our patients. Our goal is to provide the best dental treatment customized to your needs and to exceed your expectations, using the latest technology in a clean, caring, and comfortable environment. We appreciate your faith in us and thank you for the opportunity to take care of your dental health. Please browse through our website to see how Signature Dentistry can serve your family's dental needs.